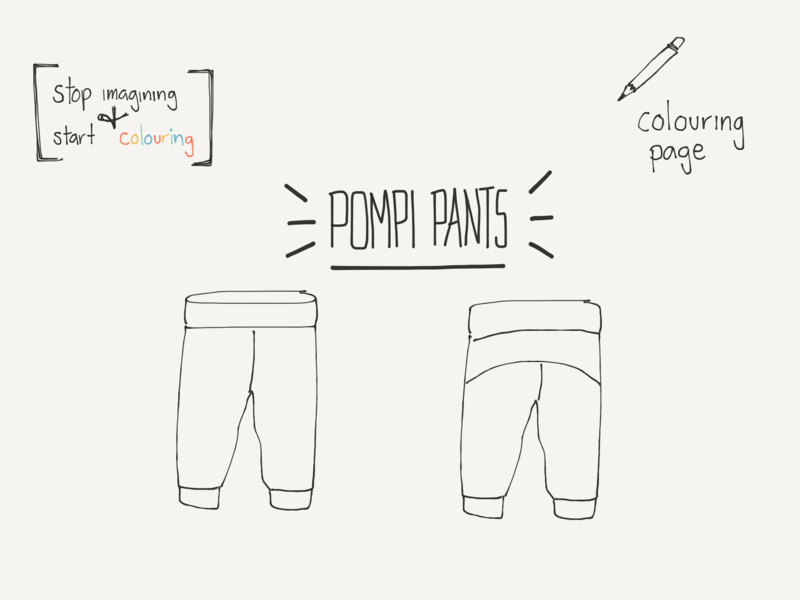 The Pompi pants is a pattern for a really relaxed pair of pants to play around. It has a curved detail on the back which gives a very nice accent and its the prefect excuse to use those little scraps of fabric left from other projects. 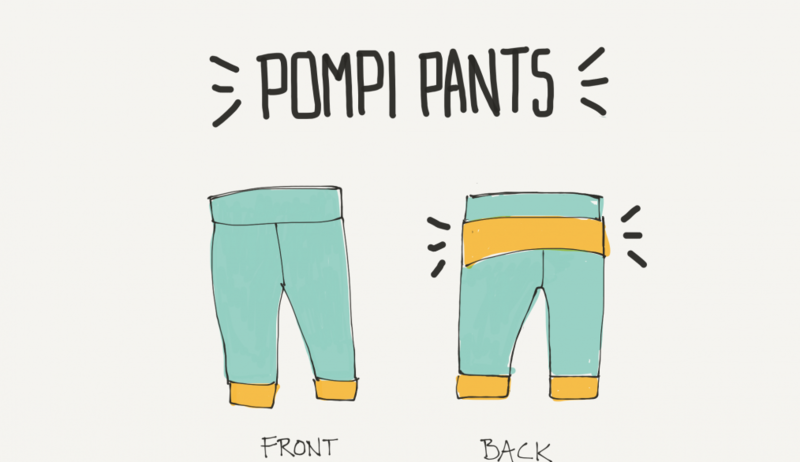 The Popmi Pants comes in sizes 3 months until 3 years. Fabric choice: This pattern is drafted for stretchy fabrics. First lets print the pattern. As with any other PDF pattern, make sure your printer is set in scale 100%, or no scaling. You can better print first only page 1 and measure the 50mm test square, to make sure the scale is right before printing the 8 pages. Cut the pages following the dotted lines and paste with tape where you see a paste icon. 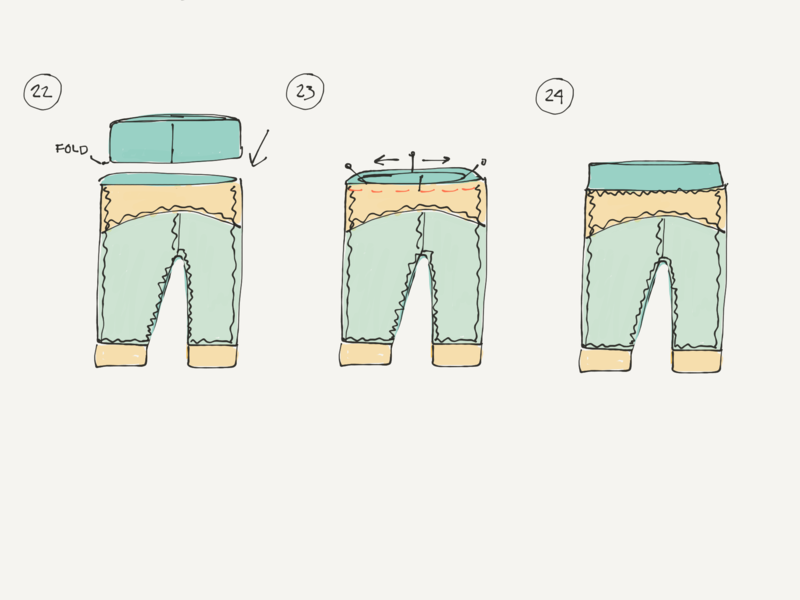 Note: The PDF sewing pattern has the option to print only the size that you want. Cut the pattern pieces. Important! The pattern does not include seam allowance. So you need to add your preferred seam allowance when cutting the fabric. Step 1. Pin and sew the crutch line / upper part from A (Front Pipes) placing right sides together. Step 2. Pin and sew the crutch line / upper part from B (Back Pipes) placing right sides together. Step 3. Mark the center of piece C on the curved line. 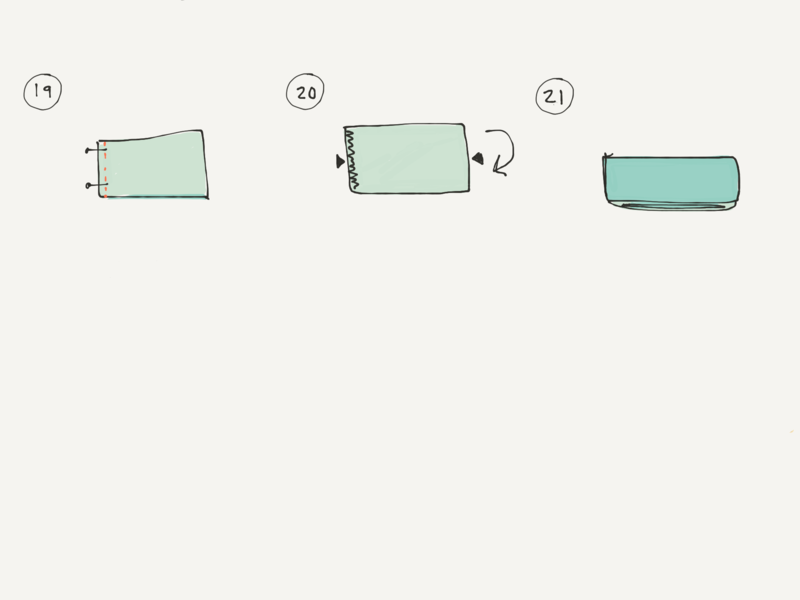 Just fold it and make a tiny cut, smaller than your seam allowance. Steps 4, 5 & 6. Place C in the middle, where your seam is. Pin in place rights sides facing together and sew. Step 7. Place your back pipes and front pipes right sides facing together. Step 8. Pin and sew the sides and the inner legs. Step 10. Making the leg bands. 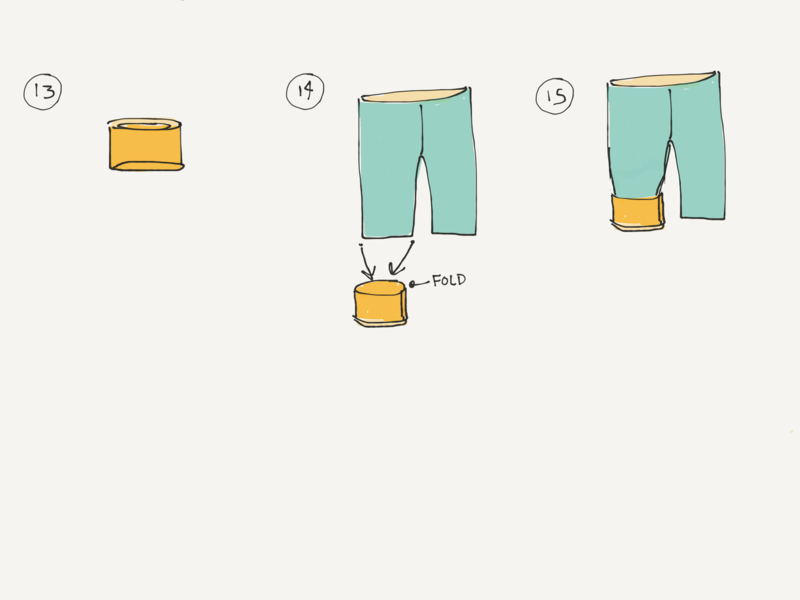 Fold the leg bands on the middle mark you made while cutting the pattern. Right sides facing together. Step 11. Pin and sew on a straight line. Step 12. Now take your pipe and fold it so the seams are hidden. Step 13. Turn your leg band upside down so that your fold line is facing up and the open edges are facing down. If you are using a fabric with a print for the leg bands, it is important to make sure you are not placing the print upside down. But how do you know this? Easy! Look at step 16 and 17. 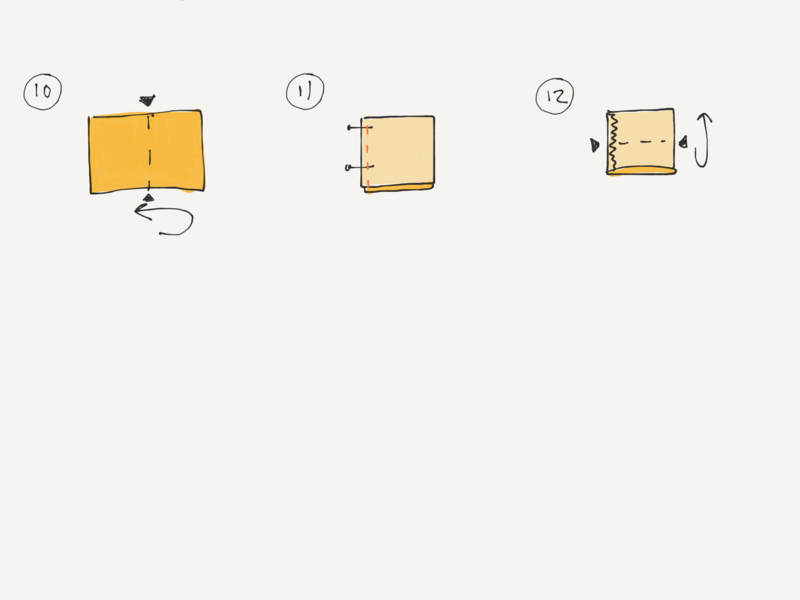 Steps 14. & 15. Put the pipe inside your leg band. The fold of the leg band should be on the upper side. Step 16. & 17. Pin and sew around the leg bands. You will need to stretch the legband a little bit while sewing. 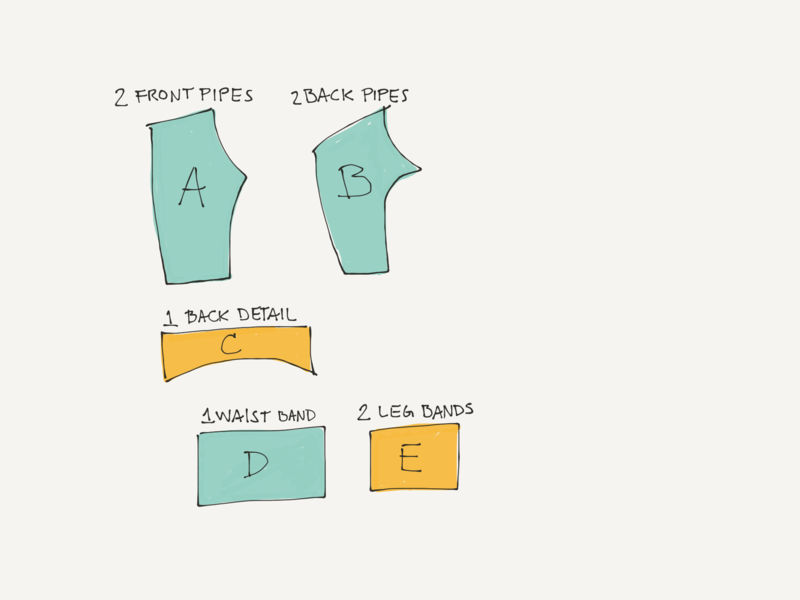 Make sure you do not stretch the pipes fabric and just stretch the legband. (!) Here is where you see that the print should be looking up sides up on the pinned piece, and also once you fold it down it will look up-sides-up. Repeat steps for the other leg band. Step 18. 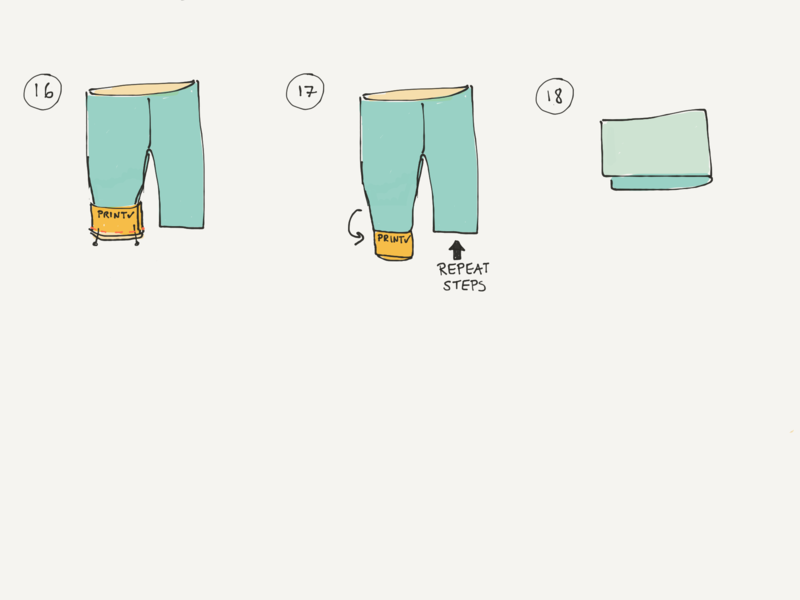 Take the waistband right sides facing together. Step 19. Pin and sew the waist band, on the opposite to the fold. Step 20. & 21. Fold it through the middle so the seams are hidden inside the tunnel. Step 22. Turn the pants inside out. 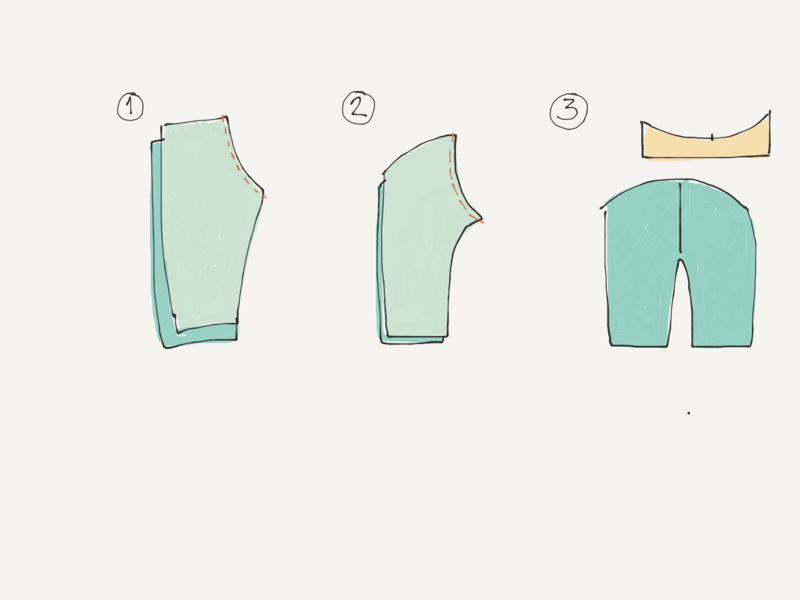 Put the waist band inside the pants, with the open seams facing up and the folded side facing down. Step 23. & 24. Pin around the waist line. Align the seam of the waistband with one of the side seams of the pipes then take the center and stretch it to the other side seam of the pipes. Find the center and pin in place on the front and on the back. Stretch the waist band while you sew. 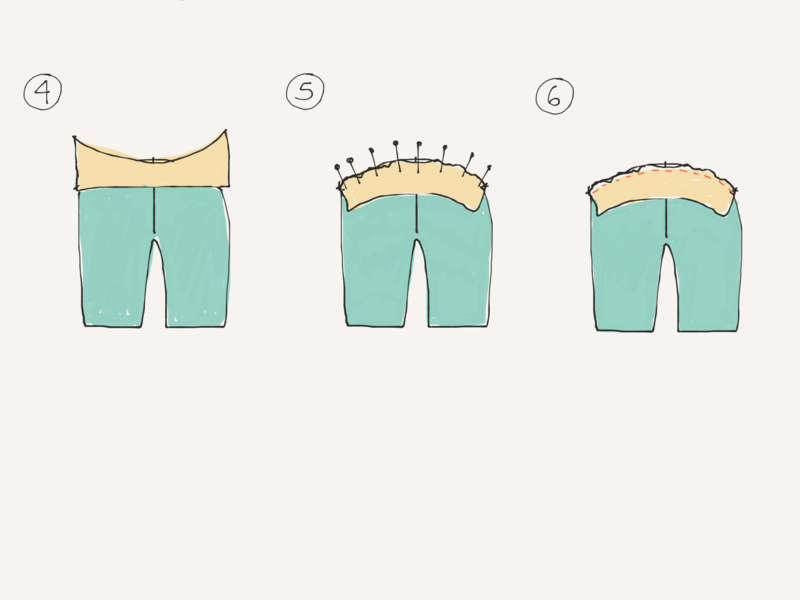 Note: the waist band fit depends on the stretch of your fabric. I made the pattern to fit with jersey or ribbing. It will sure fit, but to make sure it does not fall off the waist, you can try it in your child before attaching it to the pants. 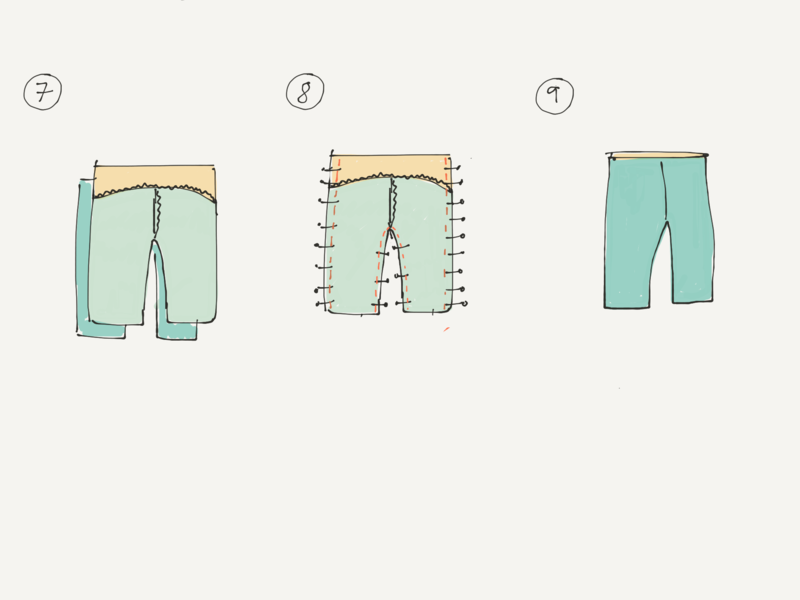 Final Step: Make your kid happy with these comfy, yet trendy pants and enjoy!!! If you are puzzling around with color combinations, this colouring page might help you. Just borrow some of your child’s colouring pencils and stop imagining it!